We often talk about the future and the best ways to get prepared for it. Our goal is to ride the wave – rather than being dumped in the wash like so many who are trying to ignore or reject the rapid changes that are happening in our world. Last week we were at James Schramko’s SuperFast Business Event and one of the speakers was Mike Rhodes, who gave us all a great rundown on Artificial Intelligence – how it works and what the implications are. So this is what we were discussing over the kitchen table, which you can watch below – and we’d love to hear your thoughts in the comments. Is your job safe? What’s your plan for being prepared for the rapid changes to come? Liz: Hey, It’s Liz and Matt Raad and we thought we’d have a chat to you from our kitchen table here on this beautiful Queensland day. Matt: It is a stunner out there. Liz: And about some of the things that we’ve seen coming up in the media and some topics that might be interesting related to what we do, which is make money online and digital marketing and trends in the world. We love watching the trends that are happening in the world and we have lots of discussions over the kitchen table about that. Liz: We need to keep up on it. Matt: – and that’s how we keep ahead and it’s also how we look for opportunities out there. Liz: And so, today what we’re going to talk about is that there’s a lot of fear, I think, in the marketplace at the moment about the robots taking over, about robots taking all the jobs, and you can see that coming up as a big issue in the election even in terms of getting better pay for workers but we face this other element of all that, which is that there are a lot of jobs being automated and a lot of jobs possibly potentially being lost over the next few years. Matt: And we were just at a conference where one of the speakers, he’s a world expert in that area and some of the stuff that is coming in terms of AI. So, AI’s Artificial Intelligence. It is just phenomenal. It’s already here. These big companies are just rolling it out. Now, it is something that is really interesting to Liz and I. We invest in those companies based on a lot of what they’re doing. So, on the one hand, it’s really exciting. These companies are, without a doubt unfortunately, jobs will be replaced. There’s no ifs or buts. Liz: Yeah. So, what’s your thoughts on it, Matt? Are we going to all lose our jobs? Matt: I mean, I’ll give the politician’s answer because we’ve got an election coming up here in Australia, the politicians answer, which is yes and no, Liz. Matt: Yeah. That’s useful, isn’t it? The answer is definitely and one of the reasons why is it’s going to become a commercial decision and the reason why jobs will be lost is simply because these companies can replace humans. The technology now is so phenomenal and the Artificial Intelligence out there and the data collection. Liz: And basically, too, what we were learning about with Artificial Intelligence or Machine Learning. So, basically, computers can now learn stuff themselves. We don’t have to program in that old code of, if this happens, then you do that. The machine actually will learn things itself. So, I guess the next question is then … All right. So, yes, we’re going to lose some jobs but is it the end of the world? Are we all going to be running screaming out the door and not have anything to do ever again? Matt: Of course not. So, the big thing too, we’ve gotta keep in mind, is this technology is becoming incredibly cheap now, relative to what it was 10, 20 years ago, okay? So, companies, even everyday companies, even businesses like ours and yours and small and big businesses will benefit from this, and so all of us will start implementing this technology and as evidence by in our game, one of the main things now is software. Software, to us, is virtually nothing. It might be $90 for a year or something whereas in the past, we used to spend thousands of dollars on software. To build a website now is basically free. If we want a really nice looking theme, it’s $50 or $90 for a lifelong membership to that. So, stuff like that’s becoming really cheap so of course we’re going to implement it. So, yes, jobs will be lost through that. 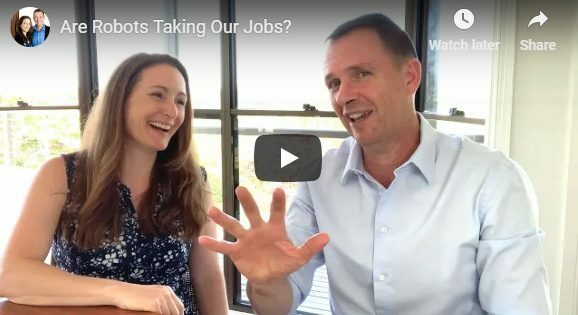 Matt: Now, what I think is going to happen and what’s exciting is, we need to turn this around because with these challenges obviously comes great opportunities and the cool thing … What people are missing is that whilst jobs are going to be lost, there’s going to be a stack of new jobs out there. Matt: They can’t do sales, to a degree. Matt: They can’t write. They can’t [inaudible 00:04:05]. Matt: They can write some pretty amazing stuff. A lot of articles online can be written by artificial intelligence but they’re just cookie cuttered articles. So, there’s still lots of opportunities out there and what you want to keep in mind is that they say that even now, a third of the jobs that exist today were not in existence 30 years ago. So, exactly the same thing’s going to … So, think about it. There was no social media posters 30 years ago, no social media managers. There were no blog writers, or 30 or 40 years ago there weren’t people out there building websites and stuff. Liz: So there’s a whole raft of new jobs are going to come online. Liz: It doesn’t have to be everything, that’s the thing. This marketplace can seem very overwhelming if you try to learn it all and do everything. Just get focused. Just learn one thing about this marketplace. It might be something at work, you might actually take on that course that they’ve been offering about how to use Google properly. You will be amazed at what you will learn, even just how to use Google properly. Most of us did never, ever take full advantage of what Google can do. Matt: So, I think one of the main bits of most useful pieces of advice for yourself and for your kids, is what we tell our kids as well, is position yourself. We know this is coming. Position yourself and get trained in the skills that are going to make a difference or learn stuff that will make you money out of machine learning and things. 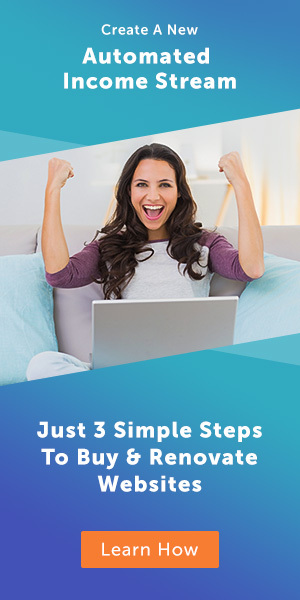 Learn how to make money online and stuff like that. Liz: Or allow you to keep your job, or more for your job. That’s the other thing too. A lot of jobs are morphing. We’ve got people on our courses who are in admin and that’s one of the jobs that’s really going to be under threat from machine learning and from the Artificial Intelligence. But what they’ve done is learn some website management and building skills, so now, suddenly, they are invaluable for the business and they are getting pay rises and things like that. So, it is about being a bit smart. Just taking a step back and thinking about, ‘All right. So, market’s changing. What can I do, even just simple little things, to be able to keep up with that and get ahead of the curve and make sure that my job’s safe or I’m earning some extra income from some other sources?’ And that’s always been our goal. So, that’s what we’ve been chatting about! What do you think? Is your job safe? What’s your plan for the future? Let us know in the comments!